The Army is now offering direct commissions to experienced cyber professionals who want to serve as officers and bring in technical skills considered crucial to the service’s growing cyber force. Candidates who are accepted for the Army’s new Cyber Direct Commissioning Program will enter active duty as first lieutenants after taking two courses that total 16 weeks of instruction. A major incentive for civilians with four-year degrees and high-demand technical skills to enter the Army as junior officers is the scale of the mission they will do, said two generals who lead Army cyber and spoke to reporters about the program on Tuesday. The talent the Army wants to attract may come from academia or industry, has experience operating in cyberspace, and has the “drive, dedication and inclination that they want to serve the nation,” said Maj. Gen. Patricia Frost, director of cyber for the Army’s G-3/5/7. Maj. Gen. Patricia Frost talks about priorities and what's ahead for the growing Army cyber force. The five-year pilot program will commission up to five cyber operations officers per year into the active component, Nakasone said. After the first year, the program will expand to the Army National Guard and Army Reserve, he said. The first board to consider applicants will take place in about a week, and the first class is anticipated to begin in February, Nakasone said. The Army has more than 50 applicants and “we anticipate we will continue to have great interest,” he said. Once the candidates are accepted into program, they are sworn into the Army Reserve as second lieutenants. Upon training, they enter active duty as first lieutenants, which has been the case with direct commissions into other branches in the past, Nakasone said. The Army already offers direct commissions to bring officers into medical, legal and chaplain career fields. The fundamental character of war is changing rapidly, and it will be up to the U.S. military’s youngest leaders to figure out how to successfully fight the next wars, the Army’s top officer said. Direct commissions for Army cyber are intended to fill a number of capability gaps and make sure Army cyber teams can accomplish their missions, Nakasone and Frost said. The officers will do a range of tasks such as building tools and devices, writing algorithms, ciphers and programs, and doing research to support Cyber Mission Force teams. Their skills are needed now, but it takes time, even several years, to build cyber operators, Frost said. So the Army is looking to bring in experienced people laterally to add to the service’s technical skills. Both Congress and the Defense Department see the program as an opportunity to bridge the capability gaps, she said. Applicants can expect to hear from the Army and be invited for an in-person interview at the U.S. Army Cyber School at Fort Gordon, Georgia. Army cyber leaders see the interview as critical to determining if the applicant is someone who will meet the security needs of the force. The applicants also will be asked to articulate the skills they will bring to the Army. This is a different approach than with typical, conventional accessions, Frost said. If the interview goes well, the applicant will be sworn in as a second lieutenant and go to Fort Sill, Oklahoma, for a four-week direct commissioning course, then on to Fort Gordon for an abbreviated 12-week Cyber Officer Basic Leadership Course. Then comes their first assignment as first lieutenants, most likely at Fort Gordon or at Fort Meade, Maryland. The expedited schedule will allow them to bypass the Army’s Basic Combat Training Course, give them fast promotion to first lieutenant as 17A cyber operations officers, and priority for getting the necessary security clearance. It will take an estimated five months to go from the first look at an application packet to getting the applicant through courses and putting the new officer to work, Nakasone said. Requirements for becoming an officer through the program include having at least a four-year college degree, ability to complete an Army physical, meet basic fitness standards and hold U.S. citizenship. They will serve a total of eight years in the service, at least three of those on active duty. Applicants must be less than 41 years old and be able to get and maintain a top-secret security clearance. The direct commission into cyber differs in several ways from getting a commission through Officer Candidate School. Candidates at OCS will have completed Basic Combat Training before attending 12 weeks of tactical and leadership training at Fort Benning, Georgia, and they must not be older than 32. They are not guaranteed to be commissioned as cyber officers even if they request it, but those selected through the direct commission program are guaranteed to become 17A cyber operations officers. In addition, OCS candidates are commissioned as second lieutenants and typically serve 18 months of service before making first lieutenant. 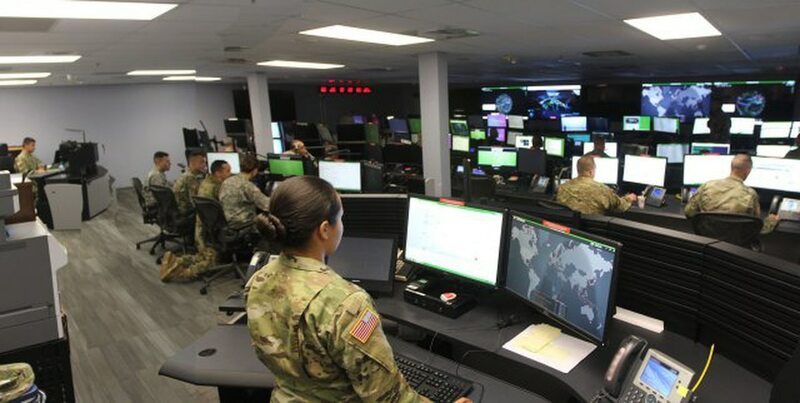 Bringing in cyber professionals as lieutenants, rather than a higher rank, was determined in the National Defense Authorization Act as the level for each service, Nakasone said. After the first year of the program, Army cyber will review to see if the program was able to attract the talent hoped for, Nakasone said. The Army also will see if any changes need to be made, including whether to offer monetary incentives such as special pay or bonuses to sign up or stay in. Once in uniform, the new officers will be paired with mentors, Nakasone said. “We find that an effective way of developing talent … any time you have that buddy program, we’ve found great success with it,” he said. Because direct commission officers are a small population, it will be easier to make sure they are taken care of, Frost said. They will be going through the initial course with other directly commissioned officers in other career fields, so they can talk with those officers as well. The Army’s program is a pilot for all the services, Frost said. “We will share lessons learned across the services. How we recruit in the Army may not necessarily be how we recruit in the Marine Corps,” she said, although the types of skills needed may be similar from service to service. “Of any of our joint warfighting functions, I don’t think it gets any more joint than what you’re executing day to day,“ she said. To find out more about the program and to apply, go to the Army’s cyber direct commission website.